Dental Implants – Why Choose Them? Dental implants have now been safely used for decades, but even just a few years ago it was relatively rare to hear of anyone who had an implant. 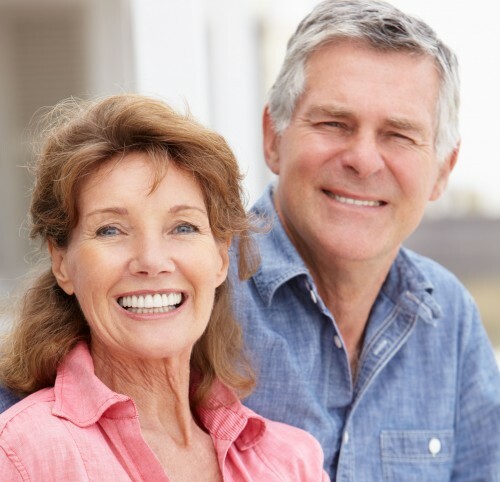 Nowadays you’re far more likely to know at least one or two people who have chosen dental implants in Basingstoke, especially as they are largely regarded as being the gold standard for replacing teeth. But what makes them so good, and why should you consider them? One of the main reasons is the way an implant works. A dental implant is designed to replicate a natural tooth root as closely as possible, bonding with your jawbone in a way that helps keep it strong and healthy. Did you know your teeth roots do far more than just keeping your teeth in position? Whenever you bite or chew on food then this creates forces that are transmitted right through the tooth, into the roots and out into the surrounding jawbone. This tells the jawbone it needs to continue renewing old bone cells. When you lose a natural tooth, your dentist will extract the tooth and the roots. If you replace the tooth with a bridge or denture, your jawbone has no way of knowing it still needs to keep replacing bone cells. It’s quite a different story if you choose dental implants, as those forces will be transmitted through the implant post and out into the surrounding bone, providing it with a similar message to a natural tooth root. Why Is It so Important to Preserve Jawbone? It’s easy to overlook the importance of preserving jawbone, but the bone surrounding your teeth is called alveolar bone and is special. It develops at the same time as your teeth erupt, and if the teeth are lost it is reabsorbed. Alveolar bone is really quite fragile, and once it’s lost it can affect appearance. Your teeth and jawbone help to support your cheeks and lips, filling out your facial features and maintaining the correct dimensions between your upper and lower jaws. Most of this bone can be lost in as little as a year after your teeth are extracted. This is one reason why your dentist in Basingstoke will probably recommend you consider dental implants sooner rather than later. While it is possible to make dentures or bridges to replace missing teeth, it could cause problems if you decide to have dental implants at a later date. This is because there may not be enough bone left to support the dental implants, and you could need an additional procedure called a bone graft which helps build up bone in areas where it is deficient. In addition, the sooner you have dental implants, the sooner you’ll be able to enjoy the benefits of having your teeth replaced in the most natural and permanent way possible. Dental implants might not be your natural teeth but they are certainly the next best thing. This entry was posted in Dental Implants on 2nd June, 2014 by Basingstoke Dental Implants.